ClearDisk scans your hard drive and automatically finds all the junk files in just a few seconds. 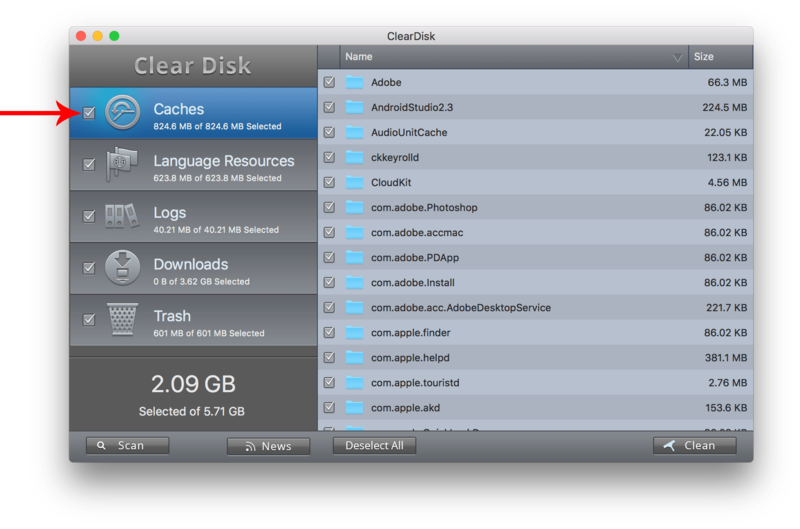 Then, all you need do to remove junk is to select the files and click the Clean button. Cache files are temporary files created when you use applications on your computer. Generally, the cache is needed to help your computer and applications run faster. 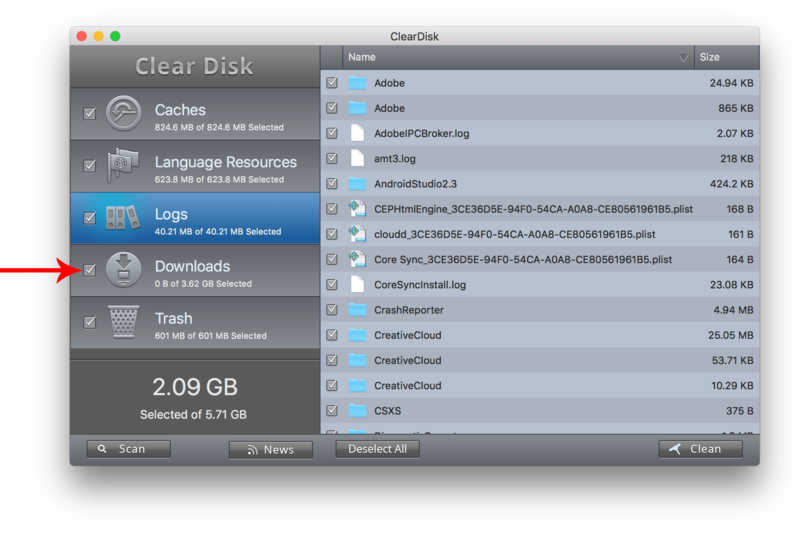 It may not sound that bad, but over time, caches grow continually bigger and slow your down your Mac. Language Resources are localization files of software. Some programs have a huge number of possible interface languages that are worthy respect, but users usually do not need all of them. Individual localizations do not take up much space (around 1-2 Mb) but all together they may consume a lot. *Please note, the app doesn’t remove language resources from the default Apple applications due to System Integrity Protection (SIP). Logs are the files which contain system information that accumulates as the computer works. This information keeps all the users’ activity that can be further used for analysis and assessment. You can remove log files when needed. By default, all files downloaded from the Internet are saved in the Downloads folder. Whether it’s a browser or messenger tool, the files sent to you are stored automatically in a special folder without no notices. 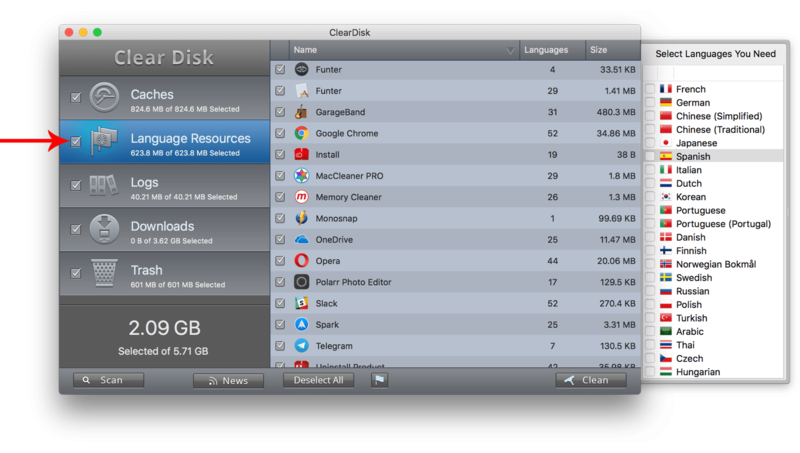 ClearDisk helps to clean up the huge amount of space being used in this folder by files you may have forgotten about. After removing a file, it does not disappear from your Mac, but rather stays in the Trash in case you’d like to recover it. Files in the Trash take 100% of their previous sizes. “Empty Trash” is a simple operation, but users tend to toss things into the Trash and rarely remember to empty it. 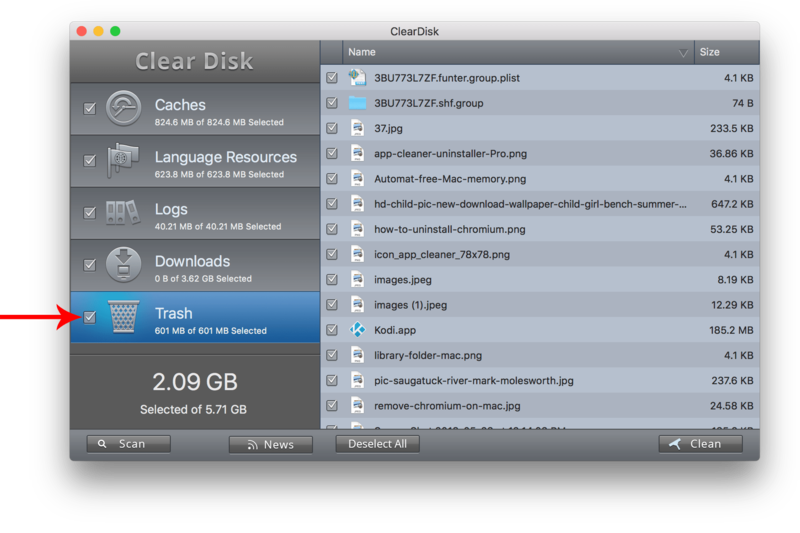 ClearDisk also clears the Trash and helps you to get rid of useless files on your Mac.